No one likes to admit it but even as adults, we still get acne. Life is stressful sometimes okay? Everyone knows it. While it has been speculated that smoking cannabis can increase testosterone and create a hormonal imbalance (therefore causing acne), most adults will admit that their adult acne is caused by daily stress, poor diet, humidity, and not washing your face. But for whatever the cause of the acne, topical cannabis might be a great way to fix it. Topical cannabis contains CBD, which is amazing for your skin (and hair, teeth, nails, etc). CBD is an anti-inflammatory and helps to soothe skin irritation. The best way to utilize the CBD for your skin is in hemp seed oil. It is a powerful antioxidant and has a comedogenic rating of zero, which means it can only help clogged pores and oily skin. Hemp seed oil is also full of minerals that help the skin, such as calcium and potassium. These keep the skin balanced and fight acne as well as the effects of aging. Looking to treat your acne with hemp seed oil? Or perhaps you just want to try out the anti-aging effects it produces. Either way, here is a simple recipe for a cannabis-based face mask that will give you smooth skin. Start off by cutting the avocado in half and removing the pit (be careful!). Mash up the green parts in a bowl or in a blender if you have one. Once it’s a thick paste, add in the rest of the ingredients. The mask works best if you boil some water and let your face absorb some of the steam that comes off of the water (be careful!). Brush the mask on to your skin and leave it on for 10-20 minutes. Wash it off, pat your skin dry, and enjoy a refreshed, smooth face! 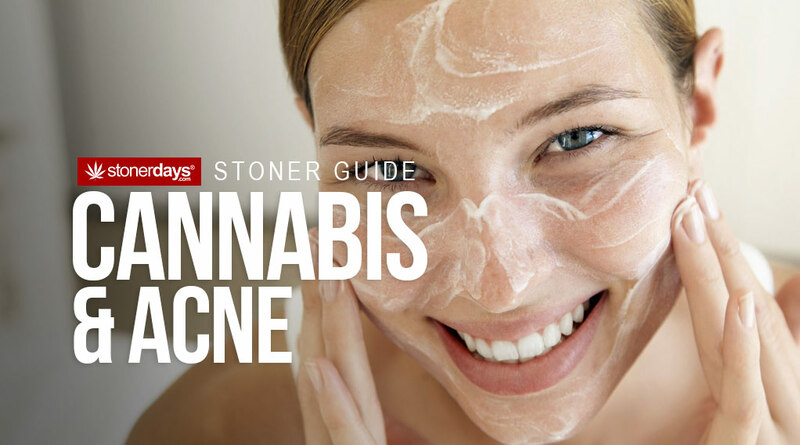 This entry was posted in Stoner Guide and tagged acne, cannabis.